You may have heard the term lingual braces but what exactly are they? What are the advantages of having lingual braces over more traditional braces? We will explore this orthodontic treatment further, focusing on the Secret Smile brand and then also look at Six Month Smiles, another popular orthodontic treatment, heralding from the US. Lingual braces, in simple terms, are braces that are fitted on the back of your teeth, closer to your tongue, rather than on the front of your teeth such as in traditional braces. Therefore, they are a great alternative to people who would like their teeth straightened without the braces being on show. There are several brands of lingual braces; here we focus on Secret Smile. The braces use strong elastic nickel-titanium wires to straighten the teeth. Once the braces are fitted, they gently move the teeth into the desired position. They are used for mild to moderate tooth movement, particularly from overcrowding or gaps affecting the front six teeth. There are many benefits of Secret Smile lingual braces, the main one, as mentioned above, is that the patient can receive braces treatment without anyone noticing. Another major benefit is the speed of straightening, as patients can see results in as little as 6 weeks to 16 weeks. They are also one of the most comfortable brace systems due to their friction-free, self-ligating brackets. This teeth straightening system derives from the US but is becomingly increasingly popular within the UK. It offers wearers a discreet, efficient and cost-effective solution to teeth straightening. Unlike the lingual braces, these are worn on the front of the teeth. However, because the braces are made from tooth-coloured materials including clear brackets and white nickel titanium wires, they are very discreet and attractive. They offer a great alternative to traditional braces, and they can be used to correct issues including spacing, overbites, rotations and extrusions. They focus on the teeth that can be seen when you smile, usually the front facing six teeth. Because the braces are focusing on the front-facing teeth, the treatment time is significantly less than seen in traditional braces and results are often seen within as little as six months. The braces are custom-made for each patient, in order to achieve very predictable results. If you would like to find out more about either of these products, please contact us on 0141 339 3123 for a free consultation. 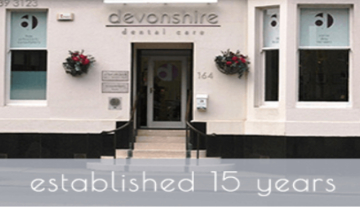 We can answer any questions you may have and assess your suitability for any of the above treatments.